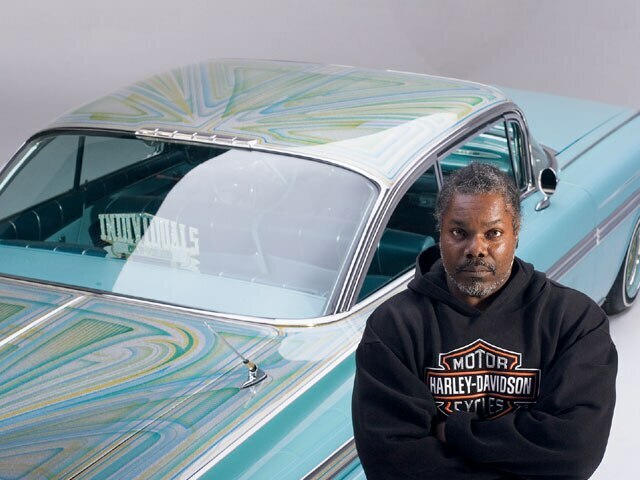 Attention To Detail Allowed Charles To Create A '59 Impala That's A Real Work Of Art. This ’59 Chevy Impala represents three years of blood, sweat and tears for owner Charles Clayton. 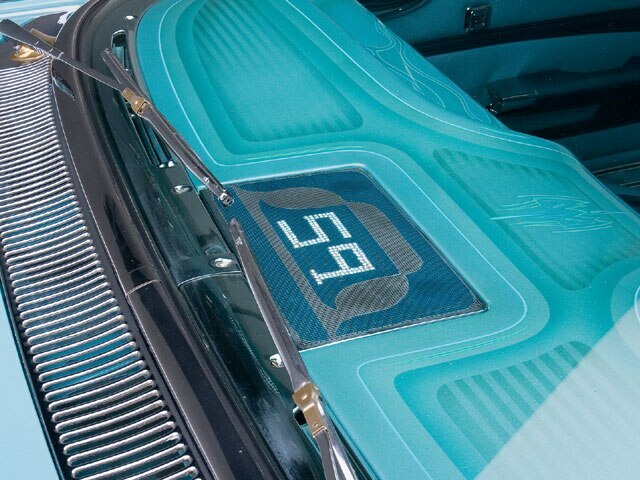 He performed almost all of the work on this car in his home garage in Los Angeles, California. We know that many of you around the country have similar projects going on in your garages and let Charles’ ’59, “Masterpiece,” serve as an example of what’s possible. Charles literally touched every part of the car himself and he says that this ’59 is the first project that he’s done most of the work himself. 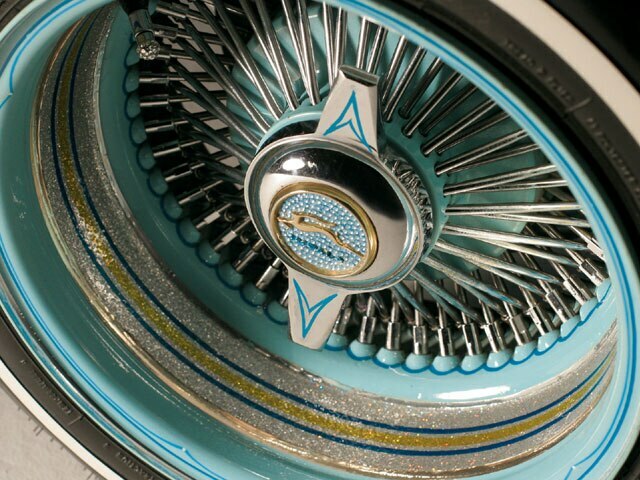 Attention to detail was his mantra during the build of this car representing Individuals C.C. 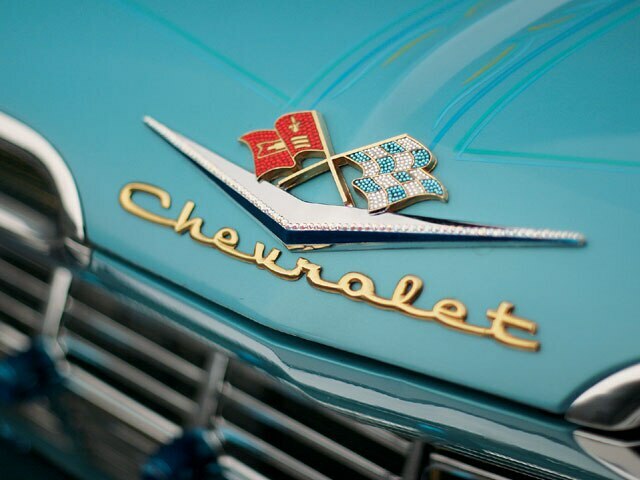 and it shows from the color-coordinated jewels in the emblems to the custom-made Chevy “bowtie” tanks for the setup to the multi-pearl paint job. Charles wanted to believe that his many years in lowriding set him up to take on the monumental task of single-handedly putting together a car and in a way it did. It taught him that things can happen and that you have to push through them, keeping your eye on the prize. What was so was that it wound up being hands-down one of the toughest things that Charles has done in his life. Every aspect of the build was thought out and executed with precision. 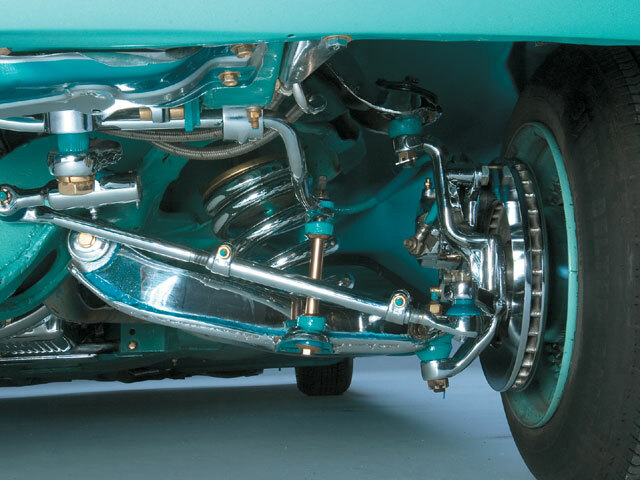 The lengths that he went to detailing the car ran to things like finding blue sparkplug wires, chroming then color-matching the inside of the hinge springs, and having certain parts gold plated for accents. There were some areas where help was needed to add that special touch and paint was one of them. Charles handled much of the painting himself, but in the end knew that the project needed that something special from someone special. Charles picked up the phone and called “Doc” to add his special touch to the roof, trunk and skirts making Masterpiece just that. The good doctor’s distinct style added a whole new dimension to the car and brought Charles’ vision clearly into view. The many days of busted knuckles, sleepless nights and mental anguish paid off in the end for Charles and he considers this project a wrap. With thoughts of selling the car floating through his head, he’s looking forward to his next project. One of them is a Ford Model T coupe, the other a convertible lowrider of some sort. Whatever he decides to do we know that he’s going to create another masterpiece built on the knowledge and experience of creating this Masterpiece. MasterpieceOwner: Charles ClaytonVehicle: ’59 Chevrolet ImpalaCity/State: Los Angeles, CaliforniaClub: Individuals C.C. 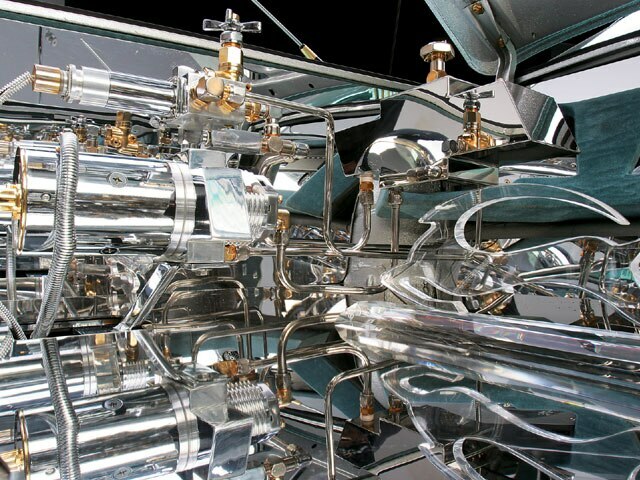 Engine/Drivetrain: An ’85 replacement motor received a Magnaflow exhaust system and was detailed and installed along with a 350 Turbo transmission by the owner. 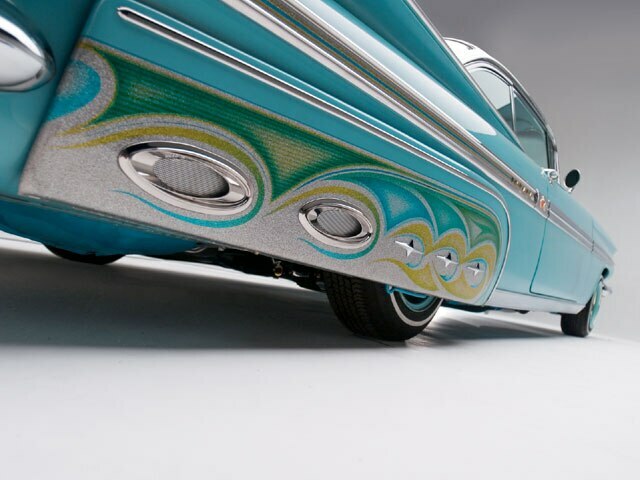 Body/Paint: After performing his own bodywork, the owner laid down turquoise and teal paint over a blue basecoat. 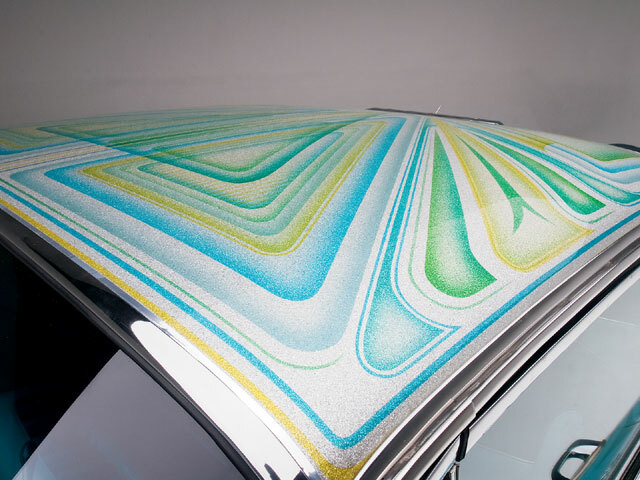 The roof and trunk patterns were laid out by “Doc” and the entire car was pinstriped by Angelo Maisano. 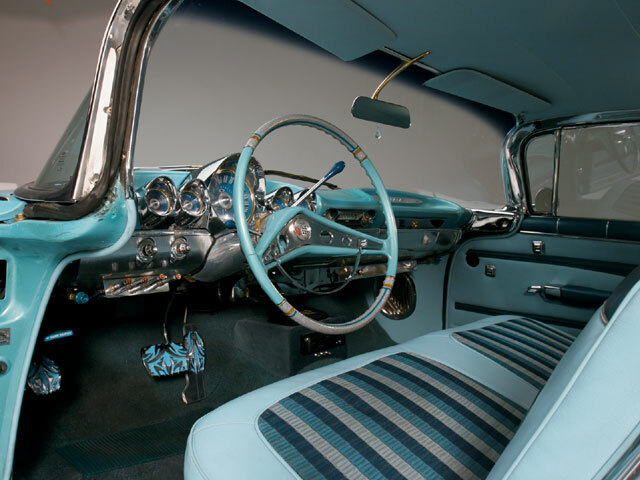 Interior: Supreme Auto Upholstery in Inglewood, California, recovered the interior in colors chosen by the owner. 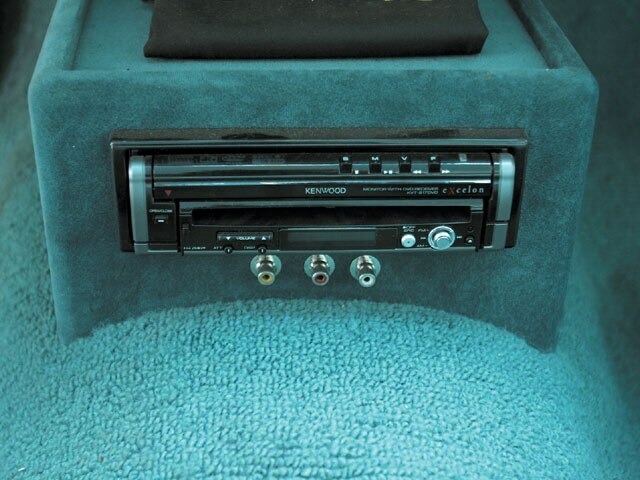 Sound System: A Kenwood head unit resides in a custom-built center console with three amps in the trunk. A set of 6x9s complete the front and rear soundstage. The system was installed by Jaime at Beach Auto Sounds in Westminster, California, with help from the owner. Setup: Chevy “bowtie”-shaped custom tanks, Red’s Hydraulics cylinders placed front and rear, 2-ton front springs, six batteries and four switches make up the two-pump system built by the owner. The frame was reinforced and painted. 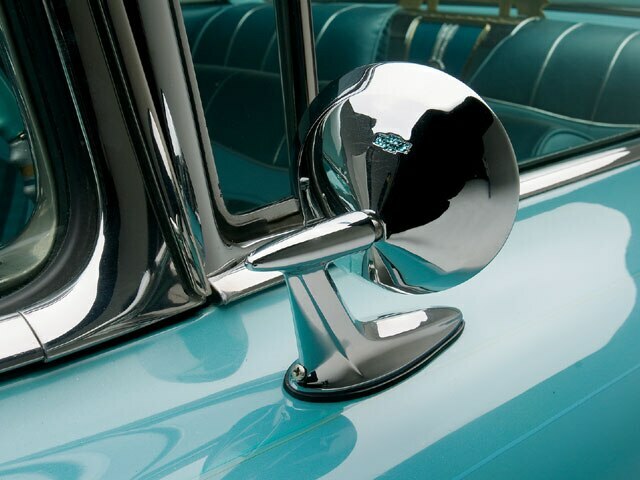 The chrome plating was done by Dcor Plating in Gardena, California, and the gold at General Plating in Los Angeles, California.